Floor: 4 bedrooms, kitchen, living room and 2 bathrooms (100 m2). Balcony, patio lights and garage. Well furnished. Very good state of preservation. Its location is unbeatable (beachfront Compostela and the city center itself). The special location makes enjoying the beach and the city at once without having to move. Account in its vicinity with restaurants, cafes and shops of all kinds, with great animation. 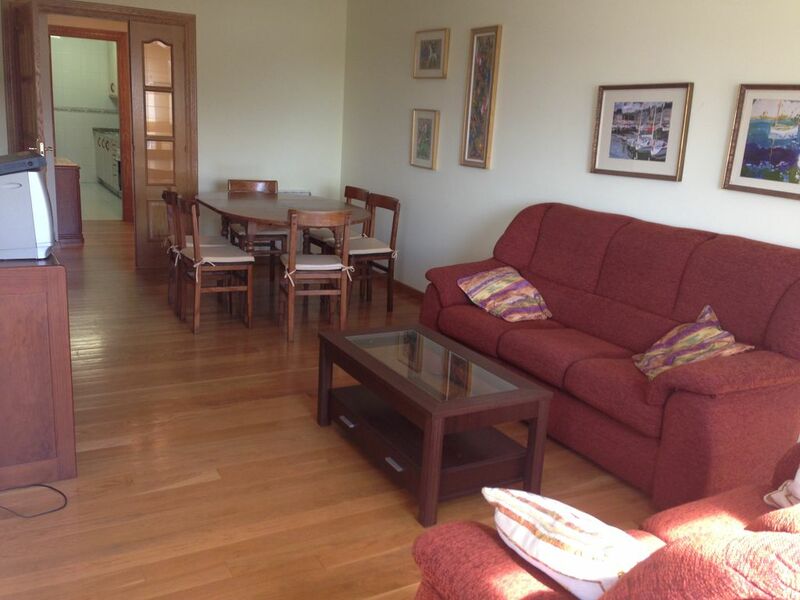 new and spacious apartment with comidad for entry and exit of the city. The entire floor, the balcony and spacious patio lights are accessible.